When I started Mrs. Shopswell 3 years ago, I never saw my life going the way it has. A lot has happened, some good and some really horrible, but all together its our crazy life. We "moved" to Louisiana for a year. I was in a terrible car accident that left me relearning how to walk. We moved back to Georgia. I got knocked up. 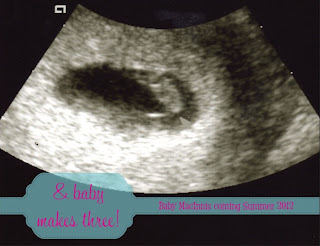 Yup, you read that right, I'm pregnant! Being pregnant has made me want to start blogging again. I want to capture our life and Jellybean's life. I want to talk about what I'm learning about parenthood and raising a baby. I want others to teach me about things I would never have thought about. I want to talk about becoming kinda crunchy and letting my naked children run around the backyard like kids used to do. AND I want to tell you all about it!